UML has established itself as the leading OO analysis and design methodology. Recently, it has also been increasingly used as a foundation for representing numerous (diagrammatic) views that are outside the standardized set of UML views. An example are architecture description languages. The main advantages of representing other types of views in UML are 1) a common data model and 2) a common set of tools that can be used to manipulate that model. 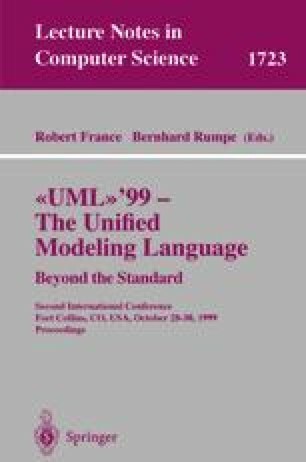 However, attempts at representing additional views in UML usually fall short of their full integration with existing views. Integration extends representation by also describing interactions among multiple views, thus capturing the inter-view relationships. Those inter-view relationships are essential to enable automated identification of consistency and conformance mismatches. This work describes a view integration framework and demonstrates how an architecture description language, which was previously only represented in UML, can now be fully integrated into UML.